I’ve stayed here at least 20 times over the past 10 years. There is never a fear of being cheated by the management. All staff members are extremely helpful. The food is good. I will always return gladly! We stayed here for 6 nights. It’s located in old Delhi so great if you want to explore this area. The hotel is tucked away so it’s a little insulated from noise. However, the hotel is generally quite noisy and the lights are kept on in the corridors until late at night and the light shines into your room. There could be a more conscious effort on behalf of staff to keep noise down. The food at the hotel is very good and we enjoyed having our dinner and a beer on the roof top area. This is not a luxury hotel, so don’t expect it! It’s comfortable, with hot water most of the time, great staff, room service and great staff. We highly recommend a stay here. Pros: Professional, helpful staff, five minute walk to metro, clean rooms, large TV, HD channels, fast WiFi. Complimentary breakfast was filling. Cons: hot water not always working, full size bed is comprised of two twin mattress about 1" thick, blanket is poor quality, balcony is not private, hotel is located down a narrow alley and surrounded by godowns. Booked a shuttle to airport and driver arrived late, driver was yelling at someone on his phone the entire trip. I payed almost double the rate of booking an Uber, because I expected better service. If you are keen to be in the thick of Old Delhi but with a surprisingly quiet and serene place to stay then Hotel Tara Palace fits the bill perfectly. All the staff were extremely welcoming, helpful and genuinely eager to please. The breakfasts were great and the room spacious and clean. I certainly recommend this as an excellent base for exploring the real Delhi. good airconditioned rooms. decent room service. Staff were very nice, arranged free airport pickup, offered free breakfast. However, facilities are dated, walls are dirty, bedsheets had marks, walls had minimum sound insulation. Located in the old Delhi markets gives you a food sense of everyday life in the area - if this is what you are looking for. Overall good value for money. 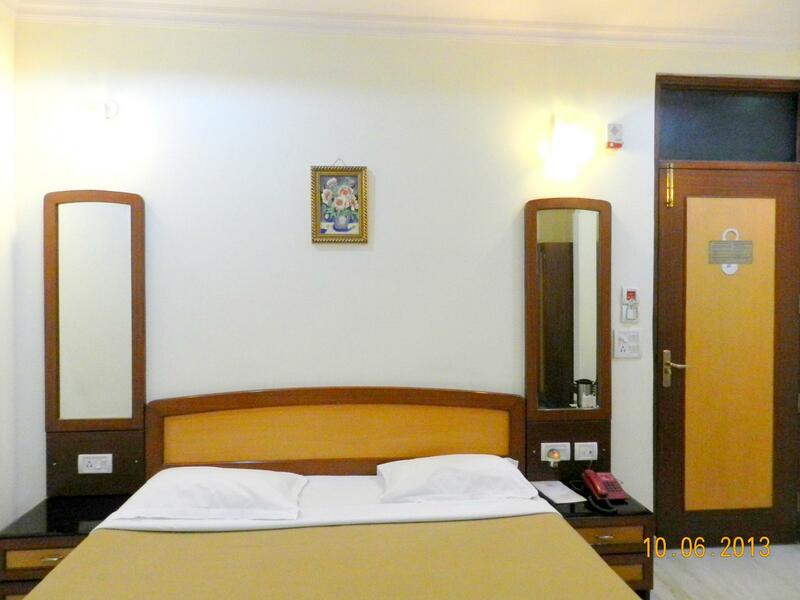 This hotel is best for enjoying the vibrant town of Chandni Chowk and Lal Qila. A friendly Indian hotel right in the heart of Old Delhi; location couldn’t be better for exploring the vast bazaar area immediately on the doorstep. 10 minute walk to the Red Fort and to the brilliant Metro station, a clean, cheap, safe and efficient way of going further afield. Not at all threatening despite initial impression of situation down an alley. Helpful staff, brilliant food and lovely to sit on rooftop with a drink enjoying the views. Don’t accept room no 312 , however, which must be the noisiest room in the hotel. The place was okay enough but in a very tired condition, with slightly grotty bed linen and cold (it was January and we had to ask for more blankets. They kindly gave us a heater, too). The "helpful" advice from the in-house travel agent, turned out to be only partially helpful, leading to some stressful calls from the next port of call! 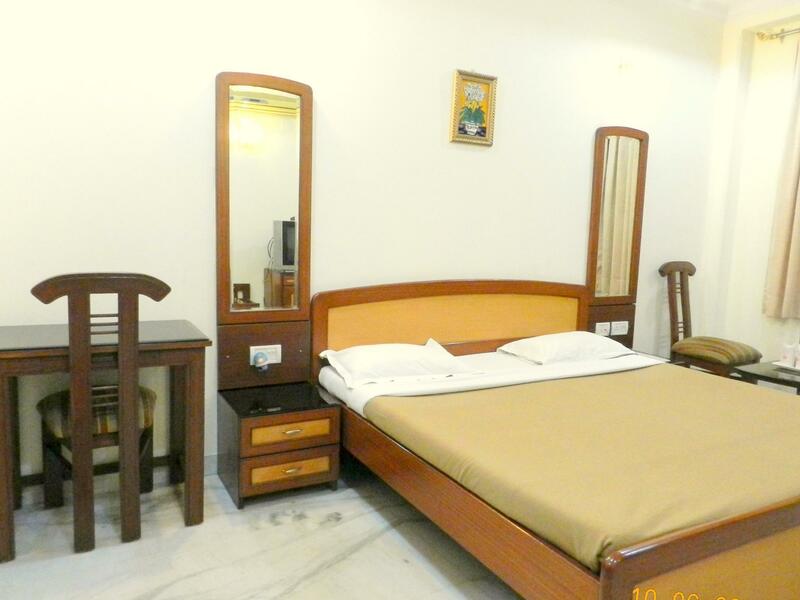 The hotel is close to the Red Fort and close to vibrant markets. It is locatd in a small steet just far enough to have a queit night. Instead of making use of the airport shuttle it may be more time efficient to take the metro from the airport to the city as the taxi ride took us 1,5 hours.... The manager is a bit pushy with selling tours and suddenly is not friendly any more when you say you don’t need a tour. The rooms are a bit pricy, for what you get. The cook in the restaurant is a nice guy and a great cook. We had dinner on the roof which was a nice experience. The wifi in the rooms is good. The Hotel is in a very crowded, busy, noisy but convenient area of Old Delhi. At first sight you think you've made a huge mistake but once you cross the threshold the staff is so welcoming and friendly you realize it was meant to be this way. A haven amidst the madness of Old Delhi! If that is the area you wish to stay in then look no further to lay your tired self at the end of the day. Order your ice cold fresh lemon soda (prompt and friendly room service) relax and enjoy the AC in your room before ordering diner from the 24hr open kitchen. Climb to the rooftop to watch the locals battle it out with their kites, take in the views of the Jama Masjid and Red Fort. Jump on the metro (state of the art, clean, AC'd, cheap) from one of many stations close to the hotel to get around town away from the noise and fumes, and the frightening crowds of rickshaws, . 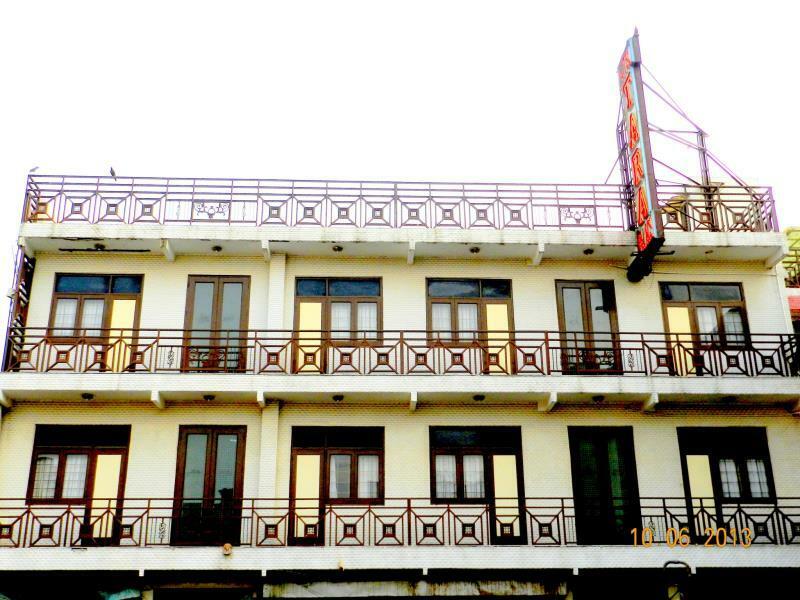 This hotel is all about STAFF FRIENDLINESS and COVENIENT LOCATION if Old Delhi strikes your fancy! I will definitely be returning to Tara Palace whenever I stay in Delhi, the rooms are as shown, very clean, secure and comfortable, the beds are good and I slept well every night. The staff are amazing, all of them, especially mr Chhaby and Mr Dilip who brought me awesome food everyday, always with a genuine smile and nice conversation, thanks guys you made my stay very enjoyable :) The rooftop of the Tara isn't really mentioned but I think it is the best rooftop in Old Delhi, the views towards Jama Masjid, the Red Fort and 360 degree panorama of daily Delhi life, is incredible, watching the sunset from the roof and drinking Masala is something I know I will miss when I return home. 10/10 would recommend this hotel, if you want to see the real Delhi, in comfort and ease and with top level service, stay here. Garbage station right next to the hotel. The website showing the photo of photo is not really what is it. Sunday next to the hotel they play music till to midnight crazy. Too be honest I don't think that is a hotel at all,Can not find it easy,Classic lift,From main road walk thought to hotel is so darkness,hot water need to keep ask front desk to turn it on,(they said wait for 10 mins,Actually waiting time is about 25-45 mins)This sort of place to stay for the place is too expensive,I never ever stay places lie that in my life. Tara Palace is a lovely little oasis in The heart of the busy market. They are also a block away from the Red Fort, the Shiva and Jain Temples, The Sikh Gudwara and the Mosque. The staff are friendly and accommodating. I enjoyed roof top dining and the food was great. They have room service, wi fi and a door man! Lovely stay. Tara Palace's staff was very helpful in meeting all of our needs. Traveling to India is different than most anywhere in the world. Staying in this part of town isn't for the novice journeyer. However, the Red Fort, the Jama Masjid and innumerable markets and venders are a short walk away. If you want to see Delhi at a raw street level, this is an amazing place to stay. สถานีรถไฟใต้ดิน Chandni Chowk - ระยะ 0.62 กม.